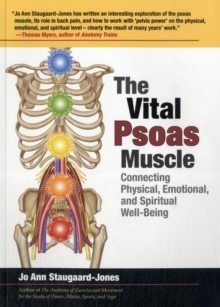 The Vital Psoas Muscle presents an in-depth look at the most important yet abused skeletal muscle in the human body. 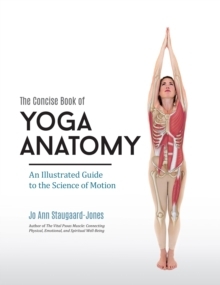 Located deep within the front hip joint and lower spine, the psoas is critical for optimal postural alignment, movement, and overall well being. 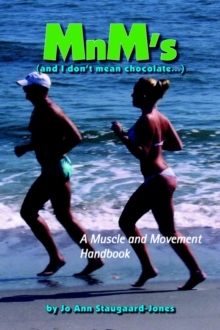 Its function and importance extend beyond anatomical mechanics to the nerve complex and energy systems. Taking a uniquely holistic approach, this book explores how the psoas affects the health of the body, mind, and spirit: Physically, as the only muscle that connects the upper and lower body Emotionally, as a messenger to and from the brain and a vessel of deeply rooted feelings Spiritually, as an integrator within the root of the lower chakras, subtly affecting the flow of life energy throughout the body Understanding and working with the psoas can help: Alleviate lower back pain Strengthen the core Correct posture Reduce trauma Open energy channels No matter our level of fitness or flexibility, how we use the psoas and take care of it is crucial to our life experience. With detailed illustrations and key stretching and strengthening exercises, including complete chapters on the role of the psoas in Pilates and yoga, The Vital Psoas shows readers how to release this muscle to create balance, harmony, and freedom of movement.